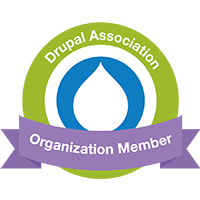 DPCI has experience with both enhancing the capabilities of existing Drupal modules and creating new ones to satisfy the ever-changing needs of our customers. Some examples include modules to integrate Drupal with a client's existing database or Web services, customized image galleries, integration with digital asset management or workflow management systems, and expanded user profiles. DPCI delivered exactly what was defined and asked of them. Their project manager was very accessible and understood the desired outcome of the project.